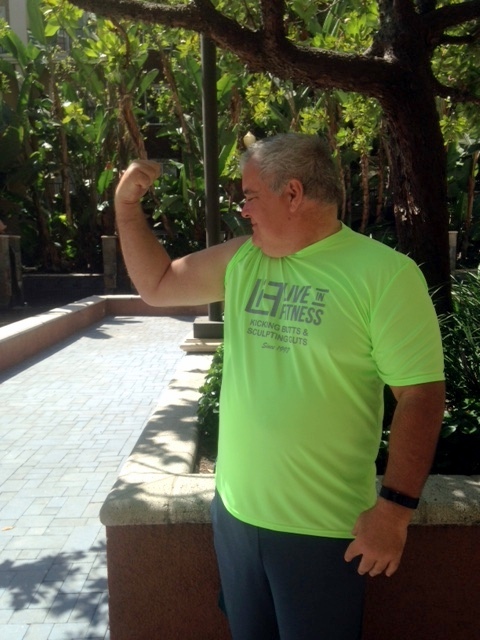 You are here: Home / Uncategorized / Client of the Week / Congratulations Dave on Dropping 9 Lbs in His First Week! Congratulations Dave on Dropping 9 Lbs in His First Week! LIF’s Client of the Week! 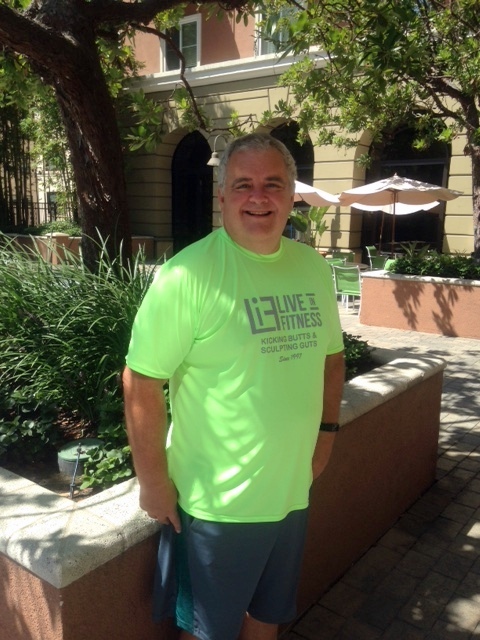 Since staying at Live In Fitness Dave has lost 25 lbs, gained lean mass, and lost 14 lbs in pure fat!! Dave lives in Memphis, where he works on a farm with his nephew. The realization of his current health status really hit home with a recent fall, where he was unable to immediately recover. He looked up at his nephew and realized that in his current health status, how long would he be in his nephew’s life? This motivated him to make a change, as he had been gaining weight for the last 5 years. In the last year he noticed his decrease in flexibility & mobility, his lack of activities and physical movement. He continued to tell himself repeatedly “I’ll start a diet next week”. This was the time for him to reach out. Dave choose Live In Fitness because of the individualized program they offered, fascinated and intrigued by the science and data used for weight loss and optimal health. Understanding that weight loss on the scale is only one of several ways to measure results. This program has given him a better understanding of how his body work, through inches and fat loss and he has surpassed all his initial goals allowing him to create new ones. Congratulations Dave!! You are an inspiration to all, and you still find time in your busy schedule to help others if needed. You have that inner drive & determination to push through any obstacle that comes your way. Proud of you for taking control back of your life for the better, in a healthier way so you can be around longer to enjoy time with your loved ones and them with you. https://www.liveinfitness.com/wp-content/uploads/2018/11/unnamed-1-e1541734414585.jpg 862 1117 themepunch https://www.liveinfitness.com/wp-content/uploads/2018/08/unnamed.png themepunch2018-11-08 19:30:402018-11-08 19:44:19Congratulations Dave on Dropping 9 Lbs in His First Week! After Halloween Candy Binge Client of the Week Brent! !